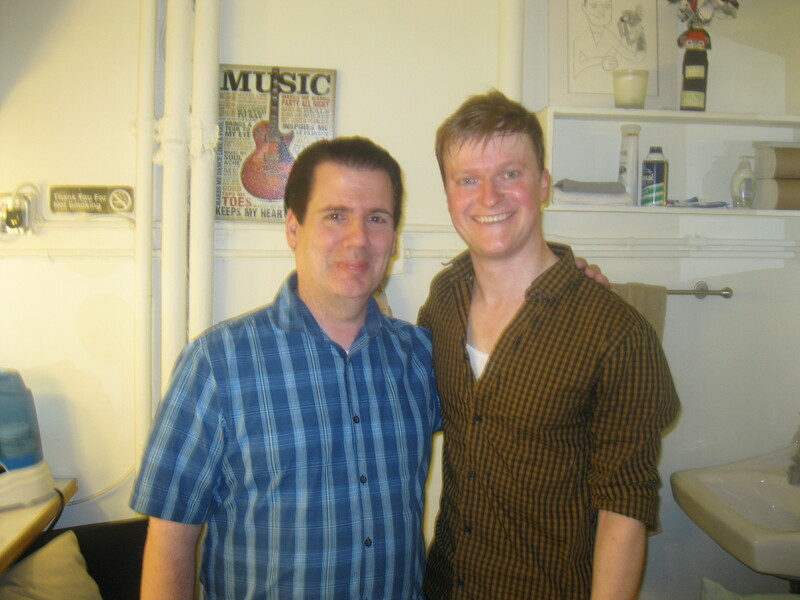 John Contratti and Steven Boyer | Cooking With Mr. C.
Tony nominee Steven Boyer literally steals the show in the Tony nominated play “Hand To God” at the Booth Theatre. I have a feeling this guy is on his way to becoming a superstar. In the meantime, check him out in “Hand To God”. Hi Dave. Go see it. It was terrific. I saw this show. This man is outstanding. I agree with you, he’s going to be big. Hilarious show with a great performance. Wouldn’t that be nice, Jeff. Hi John. I saw you on a repeat of “Mad Hungry”. I’m making both recipes. I saw Hand To God also. Mr. Boyer was phenomenal. Love the picture. Marshall B. Thanks, Marshall. I loved doing that show. It really put in the spotlight. Hopefully more good things are coming. I’m glad you saw Mr. Boyer’s performance. He’s a very nice gentleman, as well. Thanks for writing. Love the picture. I will now buy tickets because of you.